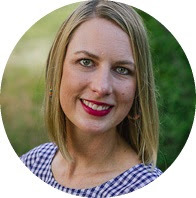 Avery, like me, has a love for all things crafty which makes party planning with her so much fun. Last year we had a sewing party. Next year she wants a "crafty like a fox" party (we'll see if that sticks). For this year, it's all about watercolor! 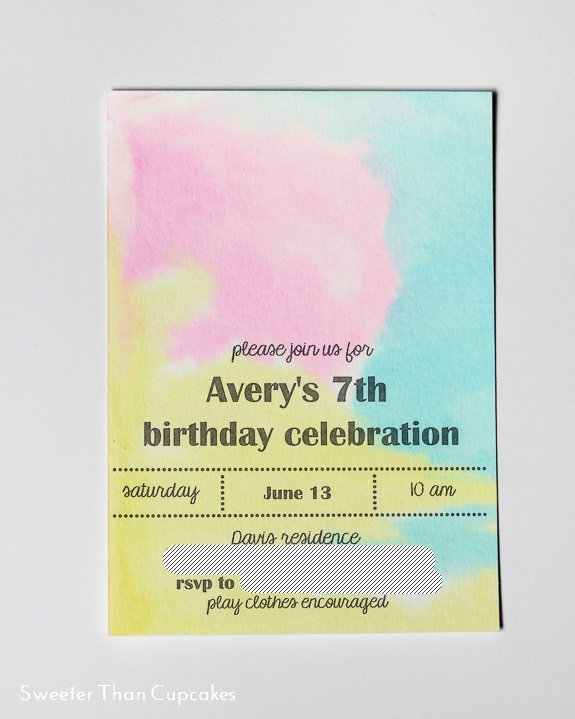 These watercolor invitations were so fun to make!! Avery and Tandy painted each one. You can see a progress shot over on instagram. I cut the watercolor sheets to size (It's important to use actual watercolor paper.) The girls painted the sheets with clear water first, then added the color to get the pretty bleed. Once the sheets were dry, I pressed them with a warm, dry iron to flatten them a bit. My sister laid out the text for me, and I just sent the watercolor sheets through the printer. So easy, and each one is unique. Our favorite watercolors to use are Sargent Art liquid watercolors. Avery's color choices for the party are neon pink, neon yellow, and light blue. We have the neon watercolors, but they haven't given us the same watercolor effects. We just went with the regular colors for the invitations. 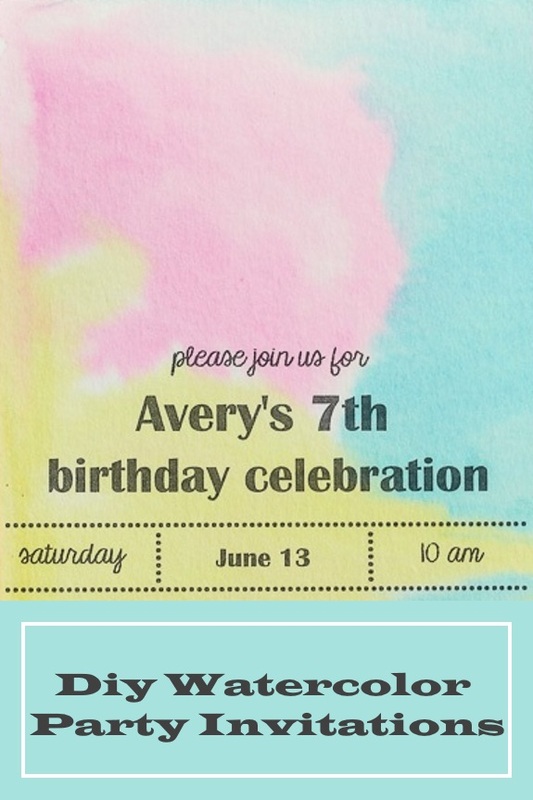 It's fun having Avery so involved with her party planning. I can't wait to show you all the painting we've been doing in preparation! But, it's not without it's challenges. God continues to work on my patience and perfectionist tendencies in loving ways through my child. The other day as we were making a frozen yogurt treat with sprinkles for the party, I commented that I hoped the yogurt wouldn't make the sprinkles bleed. Avery's response was, "It's okay Mom. It will just look like more watercolor." I love her creative, positive outlook, and I hope she continues to rub off on me! !